Sheet masks are some of the hottest item on the Korean skincare. They are widely popular and some say they are simply magic in a sheet form and little did I know, they are a total game changer. I am in the mission and aiming to have scars-free skin, pimple-free skin, less oily and more glowy and dewy! I know deciding on which one to buy can be a little overwhelming because it's just so many brands to choose from, let alone each of them focus on something different. I would say do a little research beforehand, read genuine and quality reviews, experiment a lot, or bring an "expert" friend to help you decide on which one is worth the money. I normally use sheet masks at night before I hit the bed so I would wake up with my skin feeling so super fantastic-o! You can use them whenever you want, obviously. It's just a matter of preference. Now, the real question is, what Korean sheet masks did I use? Which Korean sheet masks that are totally a game changer? 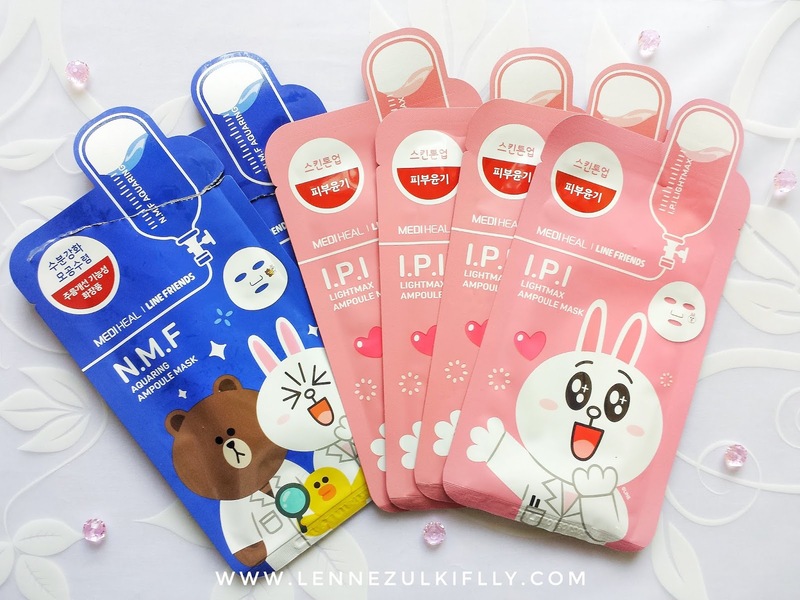 Which Korean sheet masks that worth every penny? I have tried the ones from Innisfree, Cosrx, Tony Moly, Etude House, and some other K-brands that I had a hard time remembering their name. I have tried tons of them, let's just put it that way. I swear they're all different and unique BUT there's nothing like Mediheal. Know why? You can almost see the result, instantly. Especially their I.P.I Lightmax Ampoule Mask. That, blow my mind away and made me wear it again for the next 5 days just because I wanted to see if any drastic changes happen to my skin. Which I think it really did. I can see most of my scars not completely gone but huge part of it has definitely cleared. I love them all, at least the ones I tried, honestly. They worked wonders! But I totally fall in major love with the one I just mentioned because it performs better for my skin concern (post acne hyperpigmentation). It has a brightening property - it has arbutin and sodium hyaluronate high up in the ingredient list. Also some other fruit extract and vitamin C further down the list. Now you get it why it worked almost instantly. I also tried their N.M.F Aquaring Ampoule Mask and it burns when I first put it on my face! I swear it was so uncomfortable and I cannot wait to take it off. After 10 minutes or so, it was okay and not as burning as the beginning. I like this one too (but not as much as the pink one) because my skin almost feel like the 'glass skin' that everyone is obsessing over. My skin definitely feels more hydrated, my pores are minimized and overall my skin looks so healthy and rejuvenated. The ampoule or essence that comes with it packs a ton too! I think this is also worth mentioning. They're so generous with it. 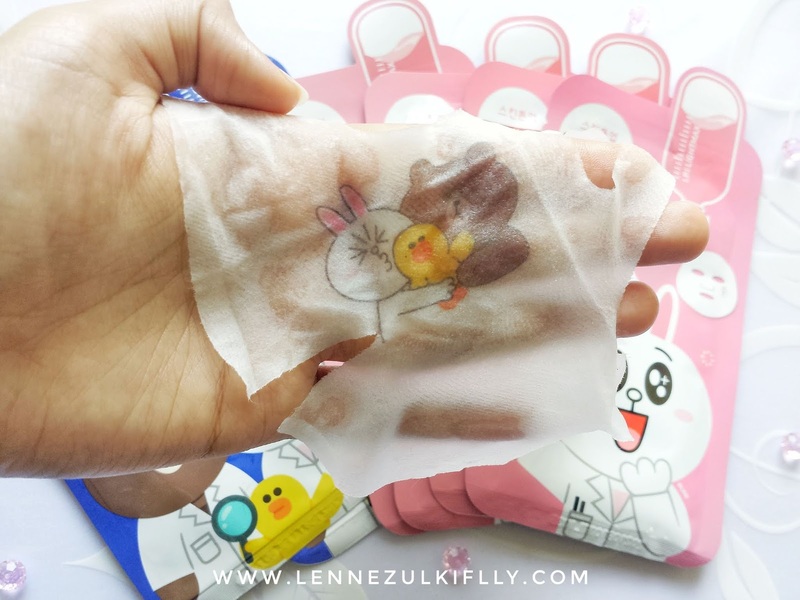 Although it's often we hear that sheet mask like this is for single-use only, but with loads of juice like that, I believe you can use it twice. I have done that multiple times! Just a heads up, they didn't play around with what they put as ingredients, for sure. I mean, arbutin, sodium hyaluronate, ceramide, collagen and some other amazing ingredients really sits on top of the ingredient lists. It's not impossible to achieve your skin goals with Mediheal's sheet masks, I tell you. I wish ALL of Mediheal's sheet masks available at our drugstore, y'know. They have tons of other variety that I want to try so bad, in which you can but you can only get it online, I guess? 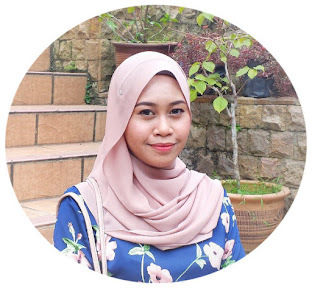 Now, I am a very insecure girl and I question the genuineness of almost everything online when it comes to skincare. So, is it worth every penny though? For me, yes. They retail from RM 8-RM 14 a piece, which is not so bad. It's reasonable. It's not crazy sky high like SK-II or something. At the end of the day, it worked. End of story. Where to get it? I found that I have bought this from Watsons all along, I am not sure about other drugstores though. I have to say, I have never been happier with my skin. It's definitely a positive progress I am seeing. I am so excited and for the most part, repeating the ritual - really taking the time to do something for myself every week is totally satisfying and enjoyable. Have you tried any of Mediheal's masks? What is your holy grail sheet mask? I never heard of this mask before, maybe I should try it too hehe. My holy grail is 365 Daily Sheet Mask by Watson. So worth it! So far pergi mana mana watsons memang ada mask ni, baik kat sabah ke kat semenanjung ke hehe ada je.